The chromium present in steel forms a protective layer of chromium oxide. This protective layer helps to prevent further corrosion of the metal surface and makes it resistant to staining. Even if the surface layer of chromium oxide is scratched off the chromium content in the stainless steel will again form another protective layer of chromium oxide when it comes in contact with atmospheric oxygen. This makes stainless steel resistant to corrosion for a very long time. It has a life expectancy of 100 years. Composition of stainless steel is an alloy. The term "alloy" means a mixture of metals. 1. Chromium - makes the alloy resistant to corrosion. 2. Carbon - carbon is often added to increase the hardness and strength of the alloy. 3. Nickel - Nickel may or may not be added. The addition of Nickel helps to withstand high temperatures and also aids in making the alloy corrosive resistant. When the need arises, Molybdenum and Titanium are added to make the stainless steel more resistant to corrosion and high temperatures. 1. Stainless steel is used to make many types of cookware, cutlery, and utensils. 2. It is utilized in the field of medicine to make medical equipment and surgical instruments. 3. 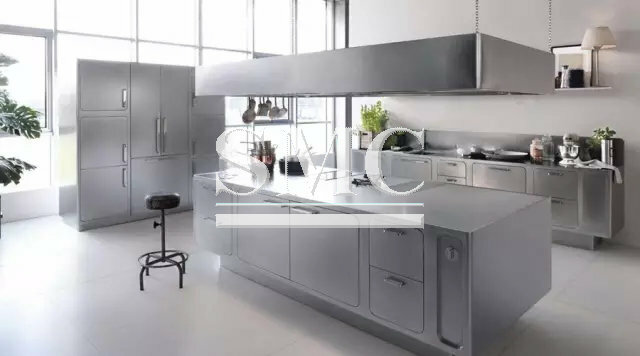 Stainless steel is used to make electrical supplies, plumbing supplies, screws, nuts, washers, keys, latches, handles, wires, chains, belts, tools, machine parts, etc. for industrial purposes. 4. It is used in the automobile industry for the production of two wheelers and four wheelers. 5. Stainless steel is used to make jewellery and watches because it is pliable and can be molded into many shapes easily. It does not cause any skin allergies. The 316L grade of stainless steel is used for making jewelry. 6. It is used in the construction of buildings both in the infrastructure and for decorative purposes on the exterior of the buildings. The Type 316 grade of stainless steel is used on the exterior of the Petronas Twin Towers and the Jin Mao Building. 7. Stainless steel is also used in bridges, monuments, and sculptures. It is also used in the manufacture of cars, railcars, aircraft and the production of firearms, handguns, and pistols.